Line art is ideal for making stencils. Trace the image onto the Mylar sheet. Fill the interior space with paint. Mylar is a sturdy plastic available in sheets and rolls. They are an ideal material for making custom stencils because they are easily cleaned and extremely durable. Using clear Mylar allows you to transform your favorite image or pattern into a reusable stencil. Purchase Mylar in rolls. This will allow you to cut sheets to your size preference. You can purchase pre-cut sheets in a variety of sizes, but purchasing a roll can save time and money. Mylar is easily cut with a sharp pair of scissors. Choose a design for your stencil. You can use a photograph, image or pattern as a guide. Or, if you draw well, you can draw directly onto your sheet. Try to keep the images simple. Detailed images are time consuming and, in some cases, they don't work well as a stencil. A good stencil design typically follows the "less is more" rule. Line art is ideal for making stencils. Coloring book pages are a good example of line art. Place the Mylar sheet over the image you are using for your stencil. 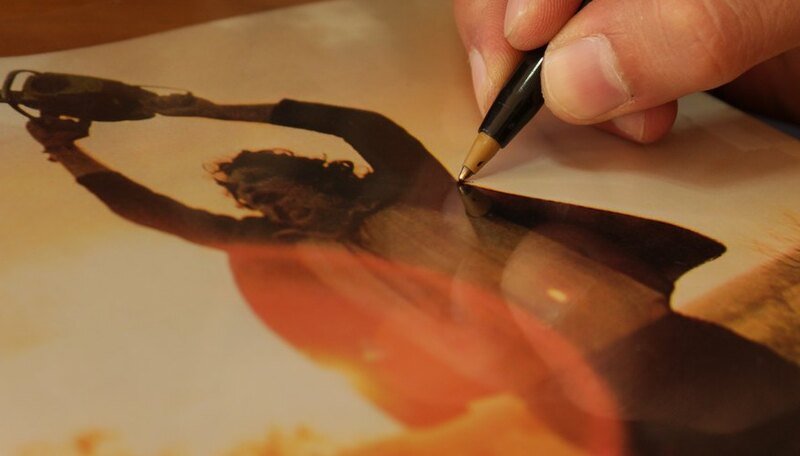 Secure both the reference image and the Mylar sheet to the table with removable tape so that they won't slip. Begin tracing the image onto the Mylar sheets using an erasable marker, which will allow you to later wipe away your tracing lines so they won't be seen. 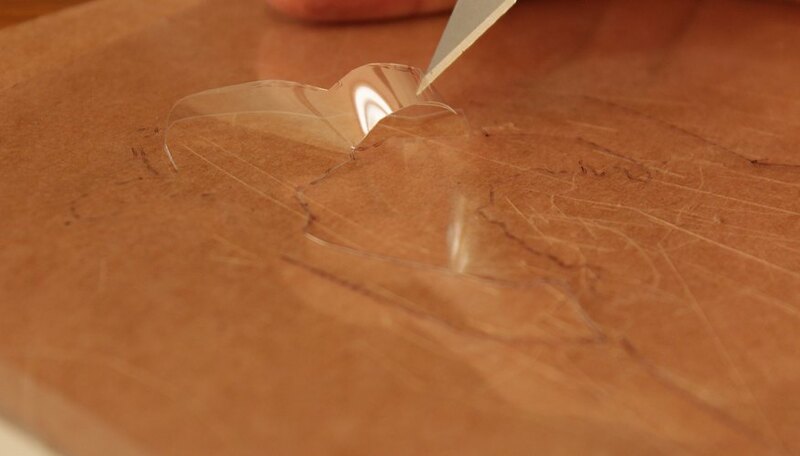 Cut our your stencil from the Mylar by tracing the pen marks with an X-Acto knife. 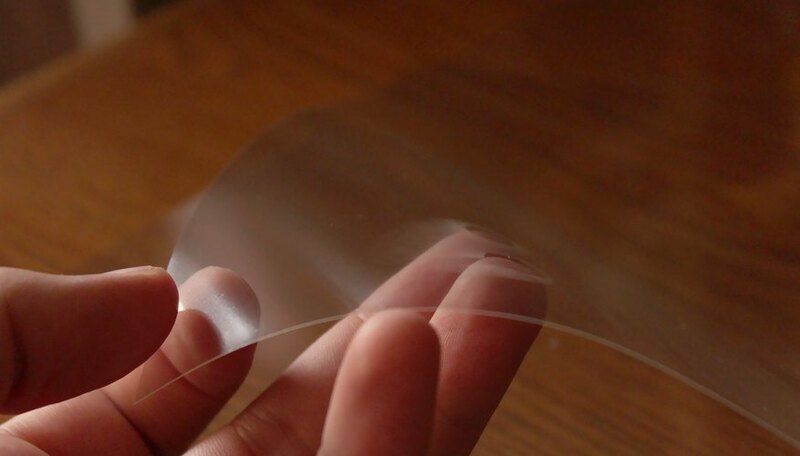 Gently pop out the interior portion of the Mylar that you've just cut and discard. The remaining piece is your stencil. Use your stencil by taping it to a surface such as paper, a wall or a Halloween pumpkin and tracing the contours of the interior space with a pen or filling the interior space with paint.